Thank You for Registering for Our Elder Law Workshop! We have saved a seat for you. 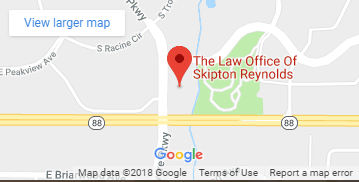 A representative from The Law Office of Skipton Reynolds, LLC will reach out to you soon to get any additional information we may need. We design each workshop to help you understand what you need to know to best protect, provide for, and manage your estate or elder law issues. If you need anything in the meantime you can reach us at (720) 613-2633. We look forward to seeing you soon!